Void rejoins his former tank partner Fissure in the OWL. After the addition of main tank Baek “Fissure” Chan Hyung, Los Angeles Gladiators made a run at the Overwatch League stage two playoffs. The team is hoping a similar addition will kickstart its campaign heading into stage three. Gladiators are adding flex tank Kang “Void” Jun Woo to the lineup, according to his former team KongDoo Panthera. The move completes a transfer rumored to be in the works since before stage two began. Void earned a reputation as one of the best flex tank players in the world as a member of KongDoo Panthera and Cloud9 KongDoo, helping the team to the APEX Season 3 finals and a third place finish in APEX Season 4 last year. But when Cloud9 were tabbed to run the London Spitfire, Void was left out of the lineup. Spitfire instead went with GC Busan offtank Seong “WooHyaL” Seung Hun and Kim “Fury” Jun Ho. Since then Void has fallen out of favor on KongDoo Panthera, replaced in the lineup by Yang “DDing” Jin Hyeok. Now Void will have the chance to regain his world-class form on the biggest stage in Overwatch alongside his former partner in crime. On Gladiators Void will rejoin his KongDoo tank partner Fissure, who Gladiators acquired ahead of OWL stage two. That gives the team instant synergy heading into an OWL stage where they’ll need every win they can get. 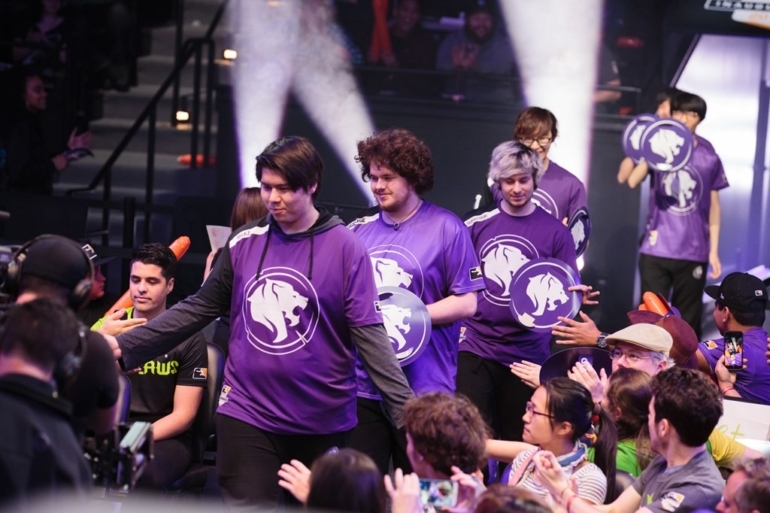 Gladiators posted a solid 6-4 record in stage two, but their 10-10 mark on the season ranks them eighth in the table and outside the playoffs. If Void provides a boost similar to Fissure’s addition, that may soon change. Fissure displaced previous starter Luis “iRemiix” Galarza Figueroa in the lineup, with iRemiix riding the bench since Fissure arrived. Whether Void completely replaces current offtank Aaron “Bischu” Kim in a similar fashion remains to be seen, but it’s likely we’ll be getting a heavy dose of the old Kongdoo tank pairing when Gladiators takes the stage on April 4.